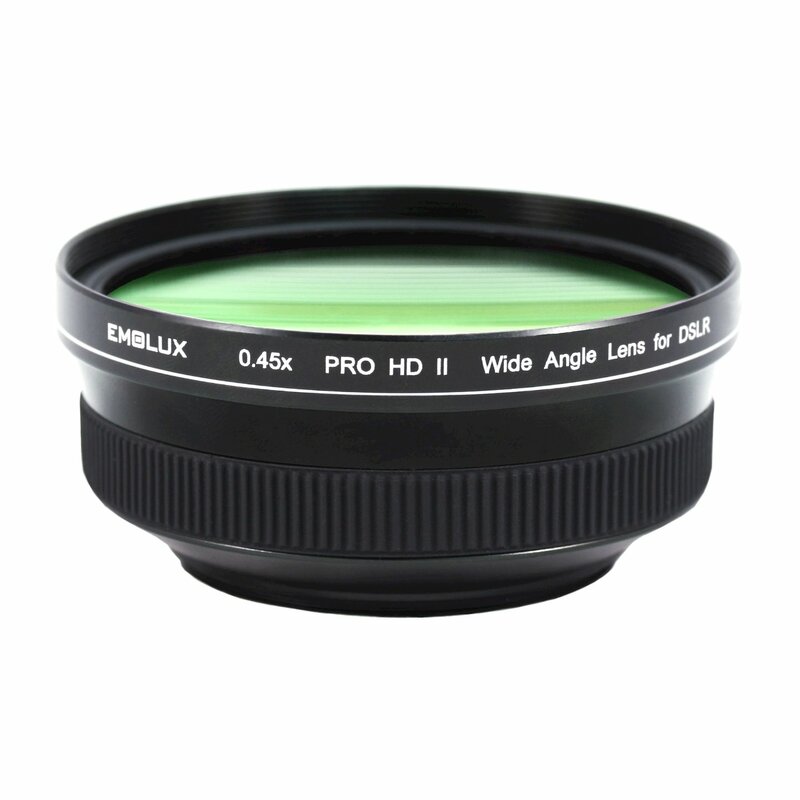 The new Emolux 0.45x pro HD ii wide angle converter lens (67mm) is designed for DSLR lenses to deliver super high resolution wide angle image clarity. Suitable for Canon, fujifilm, Nikon, Olympus,Panasonic,Sony, samsung lens with filter size of67mm. To find out your lens' filter size, look out for marking (On your lens or lens cap) like ⌀67, which means the filter size is 67mm and you should get this wide angle converter lens (67mm).